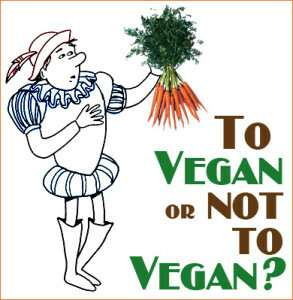 (a) At its root, veganism is an ethical matter grounded in the individual. (b) Veganism is an unattainable ideal. It is a guide rather than a realizable goal. (c) Veganism is a food practice, a food ethic, and/or a diet. (d) The bulk of veganism is to try “the best one can”. (e) Veganism naturally entails moments of “guilt” because one cannot be a “perfect vegan”. (f) Veganism is a practice conceptually isolated from other social justice practices. Let me address (a) through (f). (a) Veganism, at its root, is a social justice position grounded in the political collective. This means that mass exploitation and torture of animals can be eradicated only with social and political restructuring. Notice that we demand social and political restructuring also to address the plight of other oppressed groups . . . because to be anti-racism, anti-sexism, anti-homophobia, etc is to take a social justice position. These are not individual ethical stances (although they are founded on ethical concerns and ethical implications do follow). There is no talk of “do you!” when it comes to social justice positions because to take a social justice position is to make some sort of claim about rights. Rights are a universal notion, not a “do you!” notion. Not only is veganism a social justice position but also it is one grounded in a critical stance. It is a position funded by the critique of our inherited consumption narrative with respect to animals. We take issue with the assumption that animals must belong in the consumption narrative and we hold that it is partly because of this flawed assumption that animals remain without rights. If animals are simply beings for us to consume and use, whether as food, clothing, entertainment, research subjects, etc, then it is contradictory to also hold that they are beings deserving of protection from violation. As long as we assume that animals belong in the consumption narrative, they will never be granted rights. (Refer to my past post to read why I believe animal rights are the proper end goal for vegansim). (b) Achieving vegan goals is certainly a realizable project. The only obstacle in the way of seeing this is the tendency to misconstrue veganism as an individually based ethical project! Obviously, ethical efforts made by isolated individuals cannot possibly dismantle the myth about animals’ place in the current consumption narrative. The consumption narrative is a systemic story complete with, economic, cultural and political forces; thus, if we are going to find a good strategy to tackle the problem, it will have to be at the systemic level. The abolition of chattel slavery was not the mere sum of individually based ethical projects. Rather, it was the result of calls for social and political restructuring. Abolition would have certainly been an unattainable ideal had abolitionists failed to see that the root of this oppressive tradition was based in a narrative systemically sustained. In other words, our great social injustices do not exist simply because there are “bad” people who are not willing to strive for abstract, unrealizable ideals. Great social injustices exist because structures are built and kept in place that function to perpetuate those very injustices. These structures are the very things giving rise to the illusion that ridding ourselves of particular social injustices are “abstract” ideals devoid of reality or mere phantoms of optimism that human nature can never accommodate. 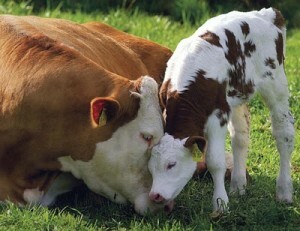 (c) Veganism is not merely a food practice or food ethics or a diet. This is not to say that food practices are not social justice issues. They certainly are and deserve more attention. However, veganism is a social justice position with the aim of securing animals rights and, as such, is not exhausted by what we eat or wear. It grates me to even hear the phrases “veganism”, “food practice” and “food ethics” in the same sentence. If, as I’ve argued, vegans properly come to the social justice position by critiquing the assumption that animals must belong to the consumption narrative, then it follows that vegans do not conceptually regard animals as food. Calling veganism a “food ethic” or a “diet” or “food practice” is a lazy misnomer. (d&e) Feeling guilty only makes sense when viewing veganism myopically as an individually based ethical project. I will have to support this claim by way of an example. One of my favorite films unfortunately has one short scene with needless misogynistic crap. When the dreaded scene approaches, I -as a staunch feminist- do not feel guilty. Rather, I feel frustrated and -at most (and at worst)- powerless as an individual. As a vegan, I am aware that I cannot currently live a life free from animal exploitation. As mentioned above, our society has systematized and institutionalized human dependence on animals and animal exploitation and torture. When I learn that my wall contains (most likely) exploited animal product, it seems inappropriate to feel guilt. I am not culpable in this matter. Rather, I feel frustrated at how pervasive the problem is and -at most (and at worst)- powerless. The feeling of powerlessness ebbs away after a while and the frustration that remains reminds me where the proper site is for my activism: at the systemic level. Momentary realizations of powerlessness, which is naturally grounded in individual powerlessness, and frustration are productive emotions because they indicate that the problem transcends the individual. Guilt is not productive because it indicates that the problem stems from the individual. Some might object that I have given little to no attention to feeling guilty when it comes to “slip ups” or being “lax” in certain company or to those in dire situations who -regardless of social justice positions- must rely on animals for food and clothing. Regarding the first: as I’ve already stated, I think veganism is properly understood as a critique of the consumption narrative and animals’ place in it, which means that animals no longer conceptually qualify as “food” and that it is a social justice position, which means a vegan actually thinks animals are rights-deserving subjects. I think adopting the critical stance makes impossible “slip ups” or “laxity”. I (controversially) believe the “slip up” and “laxity” phenomena have a lot to do with adopting the individual-ethical-stance, which rely on vague notions of moral statuses and “cruelty” and does not do much to conceptually or critically alter the person. (e) Veganism is not a social justice issue isolated from other social justice issues. Above Olivia states, “Each of us has a finite amount of time, money, and energy, and we have to decide which arenas to focus those resources in.” Such a view is rampant among both vegans and non-vegans. According to this “single-issue” mindset, activisms are structured to address one issue and it addresses this issue as being fundamentally independent of and different from other issues. As a result, we have to prioritize issues. The single-issue approach obscures the reality of how racism, sexism, classism, ableism, homophobia, speciesism, ecocide, etc are all not only connected but dependent on one another to form what I call a ‘pernicious holism’. If one sees this reality, the single-issue approach appears completely incoherent. If all of the issues we wish to fight against are enmeshed in a deep, interconnected web, then it makes absolutely no sense to structure your activism as if they are not connected and interdependent. Isolating one issue from the web is to misjudge the root and depth of the problem, in which case any further activism from this isolation is futile. Most times, single-issue approaches are espoused simply due to lack of diversity. It can be difficult to spot how particular issues are connected if you lack the relevant experiences. For instance, feminist movements have historically focused solely on the gender aspect of their struggle simply because their members and the women they targeted and spoke for were all white women of a particular class. Until recently, it never occurred to mainstream feminist organizations that race and class are social forces that shape gender. This illumination was afforded by the voices of women of color and women from lower socioeconomic rungs. Although vegan organizations like to draw upon the likeness of human and animal exploitation, rarely do they take it to the next logical step to conclude that these likenesses have something to do with the same structure underpinning these exploitations. The anatomy of this structure on which all exploitations hinge is the pernicious holism that exists among all of the regressive –isms. To make a commitment in the right way to veganism, then, is not to take away time, money and energy from other valuable commitments. Making a commitment to veganism is just to make a commitment to attack the underlying structure of speciesism, which is structurally embedded with all of the other regressive –isms. As I’ve mentioned elsewhere, this is not to say that vegan activism is feminism is anti-racist activism, etc. However, to take on the force that shapes animal exploitation requires also taking on the social forces that shape and intersect with that force. Gender, race, class, ability, sexual orientation, and other forces are so wrapped up in animality that tackling animality and how it undergirds speciesism requires taking into account gender, class, race, ability, sexual orientation, etc. This is the multi-issue approach or as it’s sometimes referred to as “intersectional activism”. For a good demonstration of this approach, consider this point Dr. Breeze Harper makes when she argues that there is something inconsistent about calling vegan products “cruelty-free” when they are made by child slaves! Conclusion. The take away from all of this is that viewing veganism from the individual perspective as a practice that exhausts itself in personal ethics is diametrically opposed to the aim of veganism, which is to eradicate the myth that animals belong in the consumption narrative. Since legal protections are the only things that could meaningfully prevent the exploitation of vulnerable beings and since rights-language is the only language that can ensure formal vulnerability and violability of beings, our task as vegans is to secure animals rights if we are to meet our aim. The ethical implications which follow from this view do just that: they follow the critical stance that give rise to our social justice position and subsequently fix our practices. We need to insist that we are involved first and foremost in the business of social justice. Morality talk merely tells us something about us- about our character, about whether we are good or bad. Rights-talk tells us something about animals– about what they deserve and what they still don’t have. This entry was posted in Atheism Plus & Secularism, Nonhuman Animal Rights & Speciesism and tagged Animal Rights, Atheism, Intersectionality, Neoliberalism, Systems by Vegan Feminist Network. Bookmark the permalink.